ꜰᴏʀ ᴛʜᴏꜱᴇ ᴏɴ ꜱᴛᴇᴀᴍ ᴡʜᴏ ᴡɪꜱʜ ᴛᴏ ᴘʟᴀʏ ᴏʀ ᴄʜᴀᴛ ᴡɪᴛʜᴏᴜᴛ ᴀʟʟ ᴛʜᴇ ꜱqᴜᴇᴀᴋᴇʀꜱ. ᴍᴀᴛᴜʀᴇ ɢᴀᴍɪɴɢ ᴀɴᴅ ᴍᴀᴛᴜʀᴇ ᴅɪꜱᴄᴜꜱꜱɪᴏɴꜱ ᴇɴᴄᴏᴜʀᴀɢᴇᴅ. ᴘ.ꜱ. ɪ ᴋɴᴏᴡ ɴᴏᴛ ᴀʟʟ ʙᴇʟᴏᴡ 21 ᴀʀᴇ ɪᴍᴍᴀᴛᴜʀᴇ ᴏʀ ᴇᴠᴇɴ ꜱqᴜᴇᴀᴋᴇʀꜱ, ʙᴜᴛ ᴛʜɪꜱ ɢʀᴏᴜᴘ ɪꜱ ᴛᴏ ɢᴇᴛ ᴀ ᴍᴀᴊᴏʀɪᴛʏ ɢᴀᴍᴇʀꜱ ᴛʜᴀᴛ ᴀʀᴇ ʟᴀᴛᴇʀ ɪɴ ʟɪꜰᴇ ᴛʜᴀɴ ʜɪɢʜ ꜱᴄʜᴏᴏʟ. https://discord.gg/YFgqwXp 18+ only personal discord for RustyGrillGamer.TV <Alaeri> must be verified via voice chat and social media. Sorta. The discord has changed because I decided not to focus on two separate discord and to just have one discord for personal use and the adult gamers. However if you join directly you will be in an isolated lobby until the admins(probably myself) join a voice chat with you to verify age. This can take some time, so please be patient. I'M AT WORK.... but I will talk to you personally to introduce myself after my shift. Once verified to some degree you'll have access to the whole discord. I'll post another announcement this weekend for some cool events. Keep in mind this is now my personal discord, but I just require 18plus so that it can still follow the same principles as the group. Don't be disrespectful, don't pretend to be someone you're not, and have a good time. Been a while. What are you guys currently playing? I am curious to see what the community is up to. Thinking about hosting a get together sometime. Would anyone be interested in a discord meetup? Text/Talk sometime tonight or Wed/Thur? I've been addicted to RL and Rust as usual. If you want a discord link say so in the comments below and Ill send you one. Hello, feel free to add me for chat. I'm also looking for people to play RE6 coop on weekends and some casual Dead by Daylight whenever. More info on my profile, don't be so shy to add/comment. Hello guys. 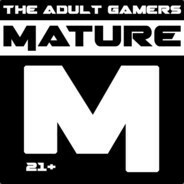 I'm looking for mature person(s) to play games together, discuss world crap and politics and drink beer together from time to time. Add me to your steam buddies if you are looking for a person of same interests. I mostly play strategy games and open to any multiplayer fun.